Helpringham Rovers went out of the Grantham Sunday League Charity Shield with a 2-1 semi-final defeat at the hands of Witham Wanderers. In Division One of the Grantham Sunday League, Ancaster Athletic were beaten 3-0 at home by Totemic. 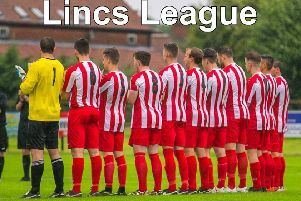 Elsewhere, Ruskington drew 1-1 away to Colsterworth United and Caythorpe Sports and Social also shared the points in 1-1 draw at home in a top of the table clash with leaders Nobody Inn Athletic.